Patricia R. Zimmermann is professor of Screen Studies in the Roy H. Park School of Communications at Ithaca College, Ithaca, New York, USA. She is also codirector (with Tom Shevory) of the Finger Lakes Environmental Film Festival, a major international festival housed at Ithaca College. She has also held endowed chair appointments as the Shaw Foundation Professor of New Media in the School of Communication and Information at Nanyang Technological University in Singapore and the Ida Beam Professor of Cinema and Comparative Literature at the University of Iowa. She is the author of Reel Families: A Social History of Amateur Film (Indiana, 1995), States of Emergency: Documentaries, Wars, Democracies (Minnesota, 2000), Thinking Through Digital Media: Transnational Environments and Locative Places (Palgrave, 2015, with Dale Hudson), and Open Spaces: Openings, Closings, and Thresholds of Independent Public Media (U of St. Andrews Press, 2016. She is also coeditor of Mining the Home Movie: Excavations in Histories and Memories (California, 2008). She was coeditor with Erik Barnouw of The Flaherty: Four Decades in the Cause of Independent Cinema (Wide Angle, 1996). With Scott MacDonald, she wrote The Flaherty: Sixty Years in the Cause of Independent Film (Indiana University Press, 2017). Her book with Helen De Michiel, Open Space New Media Documentary: A Toolkit for Theory and Practice (Routledge, 2018). Her current book project on documentary, Documentary Across Platforms : Reverse Engineering Media, Politics, and Place explores the relationship between historiography, political engagements and digital art practices across platforms and modes..
She has published over 200 scholarly research articles and essays on film history and historiography, documentary and experimental film/video/digital arts, new media, amateur film, political economy of media, and digital culture theory in a wide swathe of international journals ranging from Screen, Genders, Journal of Film and Video, Afterimage, Framework, Asian Communications Quarterly, Cinema Journal, Wide Angle, Cultural Studies, DOX, Film History, Socialist Review, Journal of Communications Inquiry, Jump Cut, and The Moving Image and contributed to many anthologies. Her blog, Open Spaces, explores openings,closings and thresholds in international public media, especially documentary. She has delivered invited lectures and plenary addresses across the globe -- Canada, China, Colombia, England, France, Germany, Guinea, Hong Kong, India, Ireland, Latvia, Luxembourg, Mexico, the Netherlands, Nigeria, Norway, Russia, Scotland, Singapore, Sweden, Turkey, Ukraine, United Arab Emirates -- and throughout the United States. As a journalist, her writing on media arts and media public policy has been published in The Independent, Gannett Newspapers, Lola, Afterimage, Main, Lingua Franca, Search for a Common Ground, National Film Registry of the Library of Congress, CommonDreams.org, NAMAC.org, and Filmmaker.com. Her blog, Open Spaces, www.ithaca.edu/fleff/blogs/open_spaces/ probes the openings, closings and thresholds of international public media, especially documentary, experimental and archival forms. 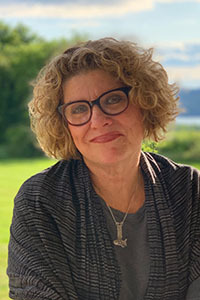 Currently, she serves on the editorial boards of the journals Film Quarterly, The Journal of Film and Video, The Sixties and The Moving Image: The Journal of the Association of Moving Image Archivists. She has served as a trustee of International Film Seminars, the home of the Robert Flaherty Film Seminar. She also has served on the national boards of Women Make Movies, Northeast Historic Film Archive (Maine), Konscious.Com, and Search for a Common Ground Film Festival (an international non-governmental organization dedicated to conflict resolution). She served as vice president of International Film Seminars, the arts organization sponsoring the renowned Robert Flaherty Film Seminars. Working extensively as a curator and programmer, she has curated the Robert Flaherty Film Seminar several times, including a retrospective on American documentary history, a documentary summit between Glasnost and American documentarians and scholars in Riga, Latvia, and "Explorations in Memory and Modernity as well as other film, video, new media exhibitions, and artist's residencies. Her curated programs have screened nationally and internationally at a variety of museums, conferences, and film festivals. In 2010, she curated Open Spaces/Singapore/Southeast Asia, an extensive exhibition in Singapore that explored a variety of forms of digitality in different new media interfaces across the region. She currently serves as a Film Envoy for the US State Department. She is also on the roster of Fulbright Specialists. 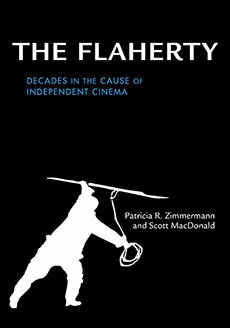 Flaherty Stories is the companion blog for The Flaherty: Decades in the Cause of Independent Cinema (Indiana University Press, 2017), by Patricia R. Zimmermann and Scott MacDonald. It extends the historical arguments and conversations prompted by the book with stories by Flaherty participants, programmers, and partisans.